Do You Know All the Facts About Your Hot Water Heater? It is important to note when buying a resale home, it is often written into the agreement that the buyer assumes any existing appliance rental agreements in place, such as water heaters or furnaces. Many buyers enter into the purchase of a house not knowing the terms of the current rental agreements. It is always a good idea to request the details of those agreements from the seller, so that it does not come as a surprise that you are taking over a multi-year lease. If you are the seller, be prepared to supply any rental agreements you currently hold when you are about to sell your home. That way, the buyer is prepared when dealing with any door-to-door sales presentations that may occur after closing. 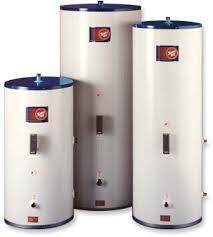 In Durham Region, there have been reports of increased door-to-door water heater sales. These sales pitches can seem misleading and aggressive, leaving the consumer feeling vulnerable, misinformed, and deceived. The Ministry of Consumer Services has received numerous complaints, making door-to-door hot water tank sales the second most common source of complaints. Ask for photo ID. Be sure to get the name of the business the salesperson is representing before he/she even starts the sales pitch. Never let the salesperson into your home without proper identification. If you are interested in the proposal, find out about the terms of the agreement. Be sure you are informed about the length of the agreement, automatic renewal, additional costs, and cancellation penalties. Get all information in writing. Keep a copy of any written and/or promotional material that is shown to you. Get a breakdown of what you will pay for a new rental and how that compares to what you pay now (but never hand over bills to a stranger). If you do sign an agreement, and would like to cancel it, you have the right to cancel within 10 days of receiving your written copy of the agreement. This is called the “cooling off period”, and there is no charge to cancel, unless the company has already installed the water heater at your request. The Ontario Government has proposed new legislation that includes plans to double the length of the cooling off period, forbid delivery and installation during the extended cooling off period, and create rules that simplify contract terms in easy-to-understand language.